Don't be surprised and don't think twice! LED can replace any lighting source in your home, studio, office, shop, or gallery, even your old track lights. Old track lights use much more energy and noticably warm up the room, unlike their raising-star sibling - LED. 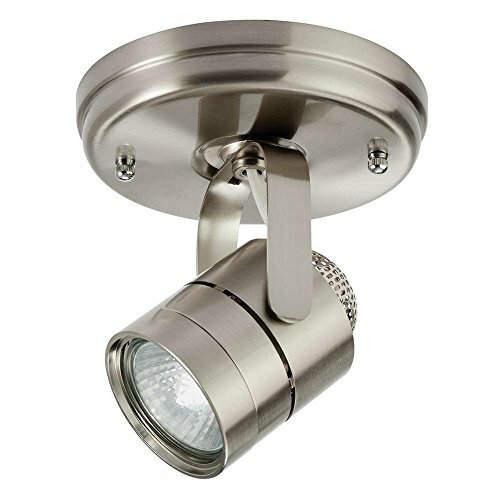 We have designed our track light head to have a nice and modern, yet incospicuous look that blands into any decore style. But most importantly, we thought of its functionality! We equipted it with an H-type connector to fit the most widely used Halo-track system. Hyperikon's cylinder light heads are rotatable and dimmable giving you much space for setting up, experimentation and adjustment. FEATURES: We have chosen the optimal combination of light quality and output. Hyperikon's track lights come with features that make for a clean, crisp, and natural light. Natural white light (4000K) Color rendering index (CRI) of 90+ 40 degrees beam angle Efficacy of up to 69lm/w POSSIBLE USE: Home - brighten up you hallway, kitchen, living room, or accentuate you decor, art, pictures, or memorabilia. Shop, Store - highlight your window and accentuate your best merchandize, or set the mood in the whole store Galleries, studios, showrooms - display and present art in its best light. FIT FOR H-TRACK - Our rotatable H Type lighting track heads can be installed on all H-Style single circuit track systems. EASY INSTALLATION - Hyperikon's cylinder head for track lighting comes with the standard H-type connector designed to snap right into your H-track rail. Follow the simple instructions for an easy and fast installation. INTEGRATED LED - Hyperikon's track light head are LED integrated with a 40 degree beam angle and ideal for highlighting decor. SMOOTH DIMMABILITY - Smooth dimming capabilities from 100-20% with modern LED dimmers allows you to control the look and feel of your space. Brand: Hyperikon | Manufacturer: Hyperikon Inc.
Lithonia Lighting step baffle track head kit is clean and simple stylish look and perfect for any environment. 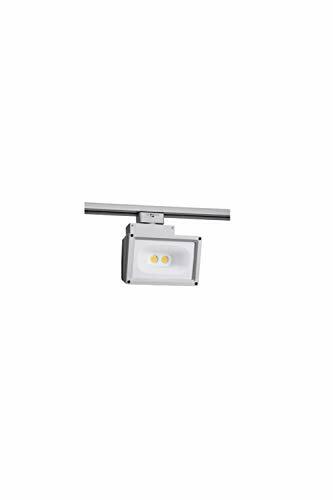 Paired with LED or non-LED lamps, the Lithonia Lighting track kit provides high-quality lighting solutions. 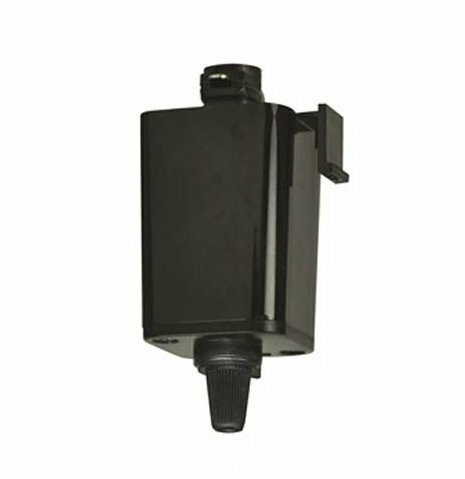 This fresh and innovative track head combines aesthetics with superior functionality for applications such as specialty retail, grocery, galleries, museums, hospitality, residential and educational environments. 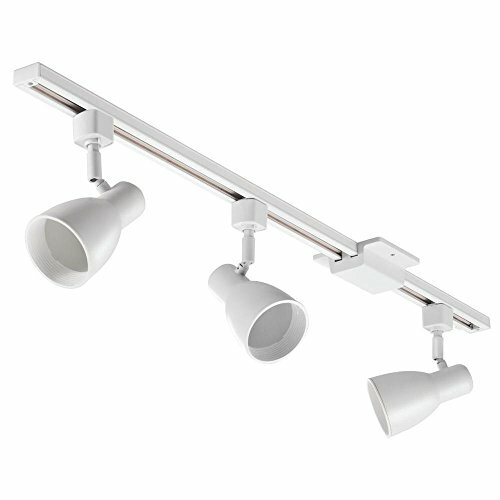 Lithonia Lighting step baffle track head kit is clean and simple stylish look and perfect for any environment. 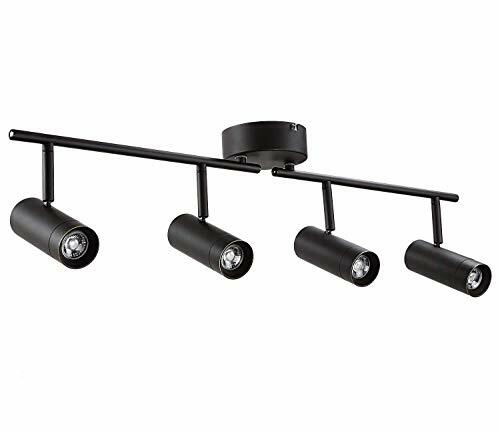 Paired with LED or non-LED lamps, the Lithonia Lighting track kit provides high-quality, lighting solutions. 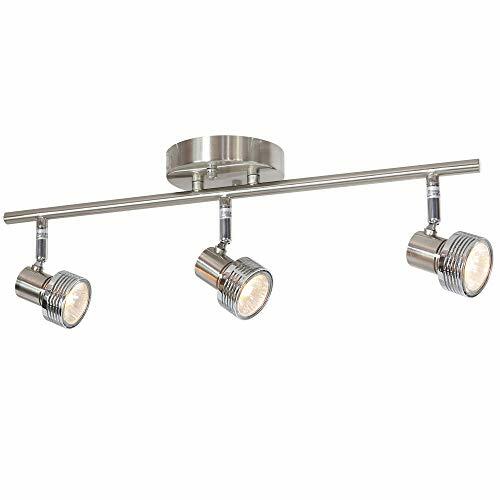 Features: Lamp holder: Multi-directional 3-head metal step baffle shade kit Adjustable track head rotates and tilts to shine light on your desired area Track head slide easily to any location on the included 4-foot track Kit includes (1) 44 black track, (1) floating feed, and (3) adjustable track heads Specification: Style: Track kit only Bulb: Uses 3 BR20 bulbs (sold separately) Finish: White Dimmable: Not compatible with dimmers Lumens: 500 LM per head Voltage: 120v Dimensions: 44 x 3.4 x 7.5 inches Weight: 3.8 pound Electrical: E-26 medium-base porcelain socket for use with maximum 75W BR20 lamp Multi-functional Usage: This fresh and innovative track head combines aesthetics with superior functionality for applications such as specialty retail, grocery, galleries, museums, hospitality, residential and educational environments. Warranty: 3-year limited warranty. 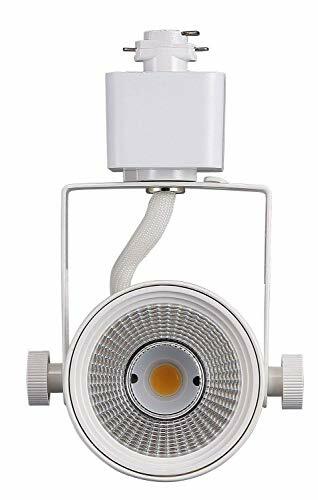 The LED track light head have a CRI90+ rating, this allows the light to render more closely to the object's true and original color, thus produce a more accurate and vivid lighting than other lighting alternatives. instructions included in the package. color, thus produce a more accurate and vivid lighting than other lighting alternatives. 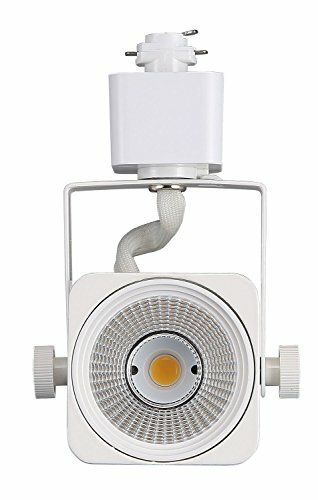 Dim smoothly from 10% - 100%, the 17.5W LED track light head provide a humming- free and flicker-free dimming experience. Please check your dimmer model below for the best operating result. to use as commercial retail displaying, gallery, restaurants etc. device from over heating. Up to 40000 hours of lifespan. 5 years product warranty for costumer's rights and benefits. Satisfaction guarantee. This theater style track light head is interior designer's best companion to deliver vintage industrial theme. 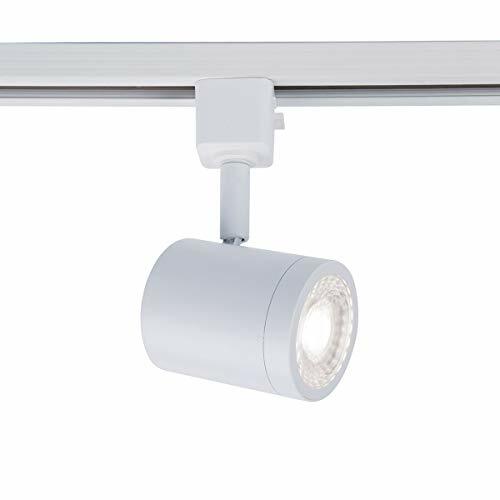 Works with J.LUMI RAL3002 track rails, this track light fixture can be installed within minutes without use of tools. 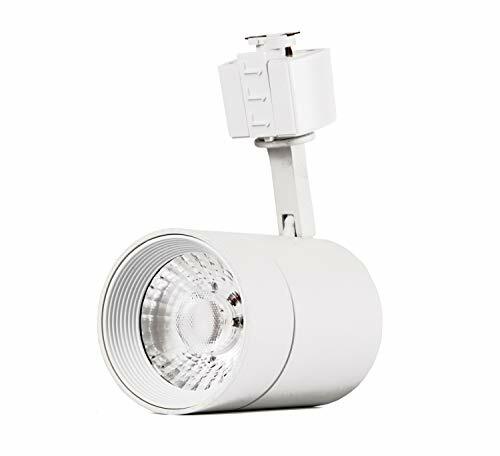 It is a versatile track light heads suitable for home, office, retail stores and restaurants. 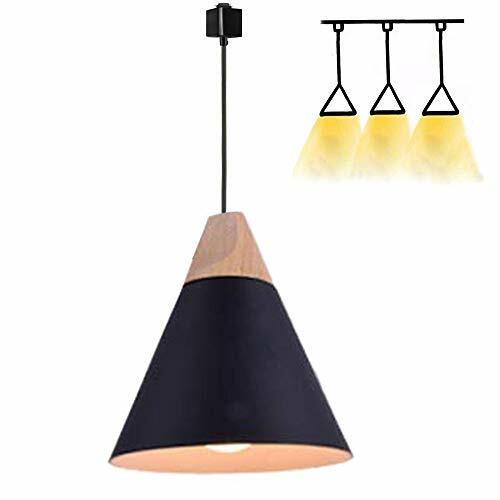 | Rustic Theater Design | This 4-leaf mini LED track lighting fixture offers a modern, yet industrial style perfect for homes, shops, theater stages, coffee shops, and more. 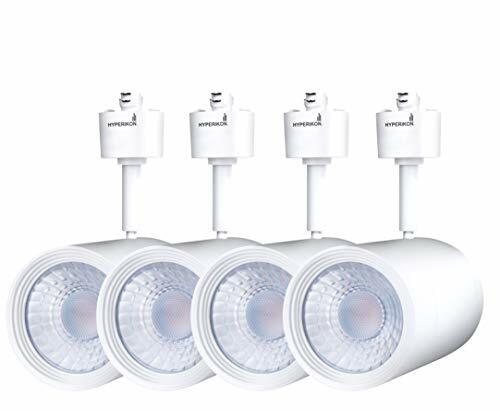 | Brilliant LED Lighting | A premier track light that's compact and versatile, each fixture comes with a 5W LED spot light bulb that produces bright 3000 Kelvin warm light. 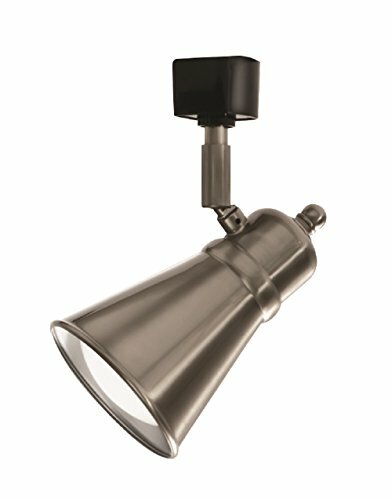 | Adjustable, Rotatable Head | Along with offering 90 of light coverage, each barn door light can be rotated a full 270 to better highlight wall d cor or living areas. | Versatile Track Rail Use | Pair our home theater lighting with our own J.LUMI's compatible track rails (search keyword RAL3002) to further customize your personal lighting experience. | Vintage Metal Finish | Great for residential or commercial use, these flat black, heavy-duty track lights make a premier decorative piece for any room or space. 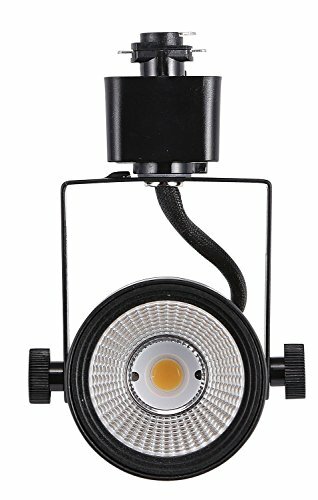 The 28W track light head can emit a 2700K soft white light with a 34degree beam angle and the 1800lm makes it great at spotlighting. in kitchens, living rooms, dressing rooms, wine cells, and retail display lighting. for your rights and benefits as a customer, satisfaction guaranteed. mounting plate and then insert the bulbs into the lampshades. All the accessories needed are included in the package along with the instruction manual. The Spotlight by Lithonia Lighting installs flush to the ceiling, but it acts like a track lighting head. You can adjust the direction of the head, making it perfect for accent lighting. Aiming it at decor or architectural features will add sophisticated style to your interior space. The fixed track series combines aesthetics with superior functionality for applications such as specialty retail, grocery, galleries, museums, hospitality, residential and educational environments. The EuSolis Vulcanus store is the official EuSolis Direct Store and the only Amazon store selling EuSolis products. Special type : EuSolis It presents this bright spot, which can be used as ceiling light or wall light. 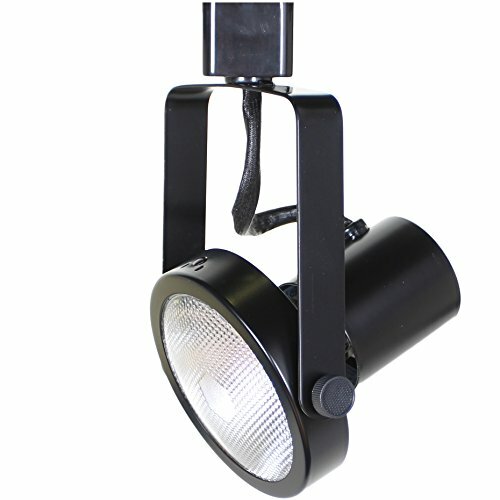 Made of high quality, solid iron, with adjustable button for better control of shine and safety of this spotlight. Chassis diameter: 4.33in(11cm). Special type : EuSolis It presents this bright spot, which can be used as ceiling light or wall light. 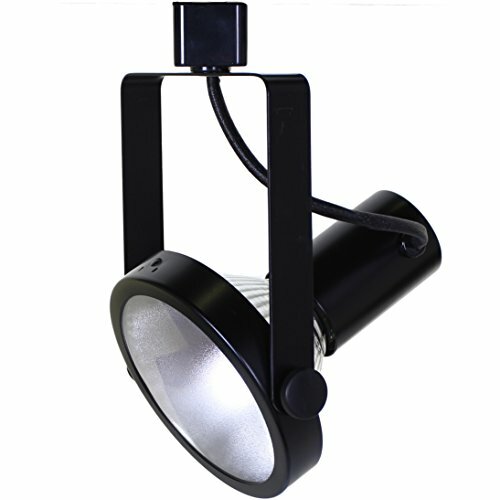 Made of high quality, solid iron, with adjustable button for better control of shine and safety of this spotlight. Recommended Applications : corridor office / office, dining room, bedroom, bedroom, living room, restaurants, clubs, Suggested Room Fit: 10-15 m2. Riskless purchase : If the product is damaged or defective when you receive it, please ask for a confirmation and feel free to contact us. We will replace it free of charge or offer a refund. 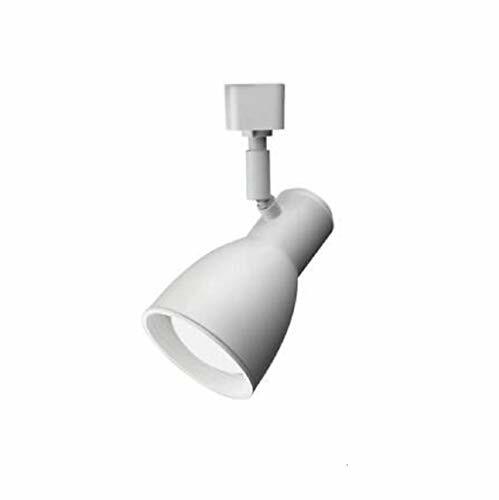 Lithonia Lighting lamp shade track head is a clean and simple looking and is designed for use with Lithonia Lighting and Hampton bay track systems. This fresh and innovative track head combines aesthetics with superior functionality for applications such as specialty retail, grocery, galleries, museums, hospitality, residential and educational environments. Paired with our LED lamps, this provides high-quality, eco-friendly lighting solutions. Line voltage luminaires offer a large Assortment of styles, finishes and features for residential, retail, commercial and hospitality environments. Ideal for applications where a minimalist profile is desired, achieve the sleek look of Mr16 fixtures without the need for a bulky transformer. Track fixture is available in h, j/J2, and L track configurations. Order according to track layout specifications. Fixture can accommodate an LED or incandescent lamp. Warranty: 5 years functional, 2 years finish. This contoured track head is designed for use with Lithonia Lighting and hampton bay track systems. It easily snaps into place anywhere along the length of track. You can adjust the direction of the head, making it perfect for accent lighting. Aiming it at decor or architectural features will add sophisticated style to your interior space. 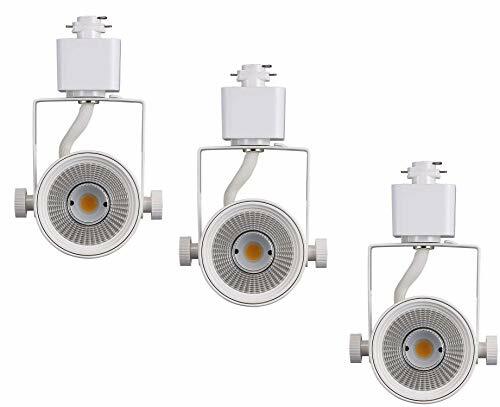 Not compatible w/ all track feeds; Track mounting adaptor compatible with Lithonia Lighting track series (LTS) and Cooper Lighting Halo H L641 and L651 Track. 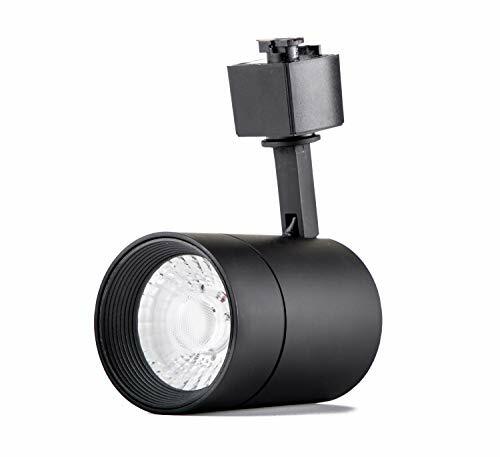 Direct-Lighting PAR30 Gimbal Ring line voltage track lighting accepts PAR30 halogen lamp. The gimbal ring, rear loading line voltage track lighting fixture combines contemporary style and full functions. 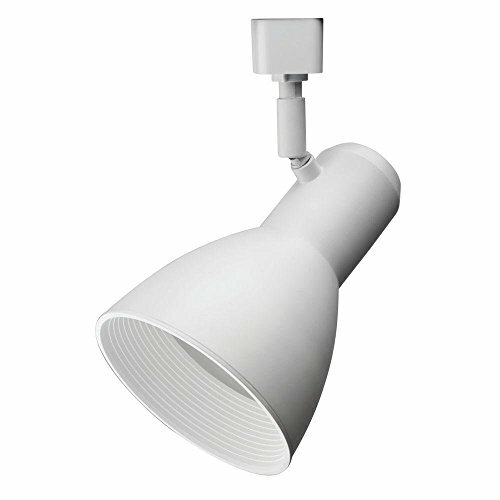 This simple and clean designed track head is an ideal accent lighting choice for retail store lighting, gallery lighting, display lighting, task lighting, product highlighting, and residential lighting purpose. 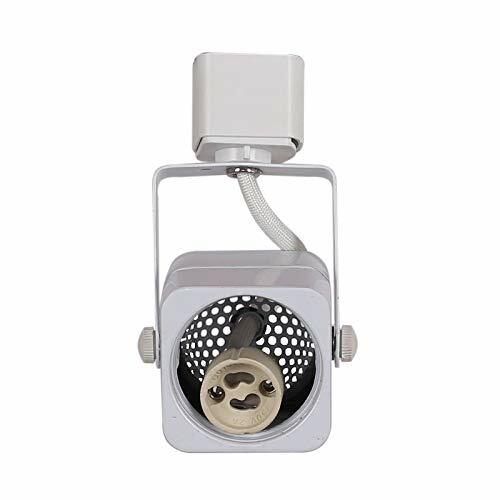 PAR30 Gimbal Ring line voltage track lighting head. 350 horizontal rotation or 90 vertical project. UL Listed. Rated for Indoor use or Dry locations. 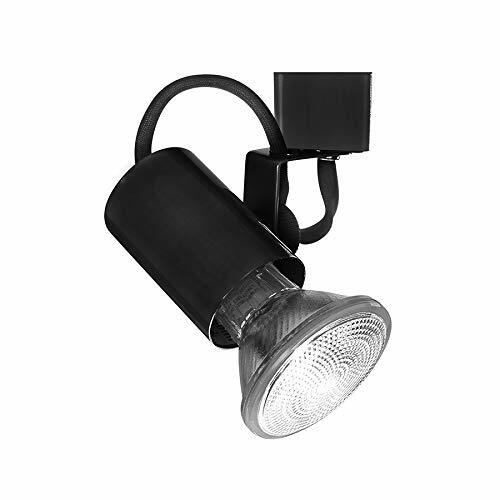 Direct-Lighting PAR38 Gimble Ring line voltage track lighting accepts PAR38 halogen lamp. The gimbal ring, rear loading line voltage track lighting fixture combines contemporary style and full functions. PAR38 Gimbel Ring line voltage track lighting head. Dimensions: 1.5 W x 1.5 L x 3 H.
The Mesh back Lamped LED Track is the perfect lighting solution for areas needing attractive, energy-efficient and adjustable task or accent lighting. The LED lamps produce bright, lighting, while the mesh back design in both Matte White and Matte Black offer a modern, decorative look that can update any space. The Mesh back Lamped LED Track system is ideal for applications such as specialty retail, grocery, galleries, museums, hospitality, residential and educational environments. The multi-directional die-cast aluminum lamp holders all easy flexibility to light direction. 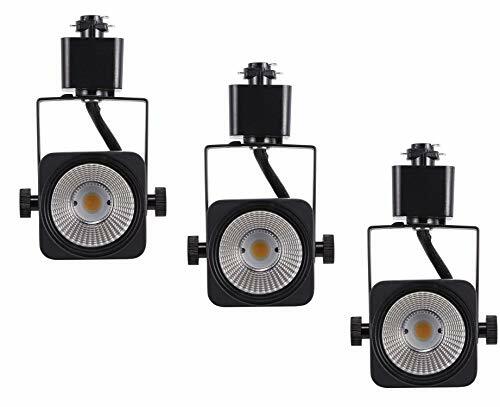 The Mesh back Lamped LED Track Kit (LTKMSBK) includes: (1) 4' track stick (120V), (1) floating feed, (3) MR16 GU10 LED Lamps and (3) adjustable LTHMSBK Mesh back track heads. See the Mesh back track head (LTHMSBK) spec sheet for ordering information for individual track heads. Each 4. 5W track head produces 300 lumens and os rated for 22. 8 years based on 3 hours of use per day. Warranty: 3 year manufacturer limited. Adjustable Track Heads: 3 independently adjustable track heads to direct and focus light where needed. Please feel free to contact us any time if you have any question,we will try our best to help you solve all problems. STYLE:This tracking light was used brushed nickel body and Chrome lamp Cup show a unique modern style. ADJUSTABLE TRACK HEADS: 3 independently adjustable track heads to direct and focus light where you need it most. EASY INSTALL: Includes all mounting hardware and a canopy mounting plate for quick and easy installation. BRIGHT LIGHTS FOR MULTIPLE USES: Shine the spotlight over any areas. 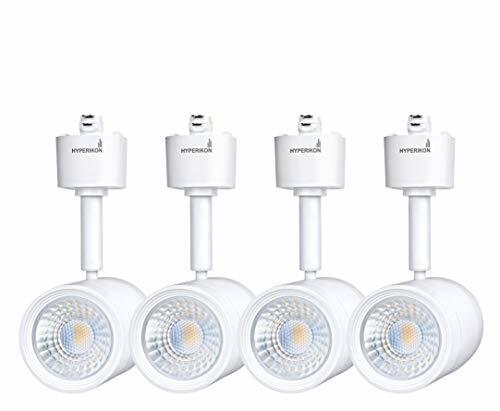 Ideal for indoor dry locations such as a closet, hallway, kitchen, kitchen island, sink, office, dining room, living room, bedroom, garage, cabin or study. 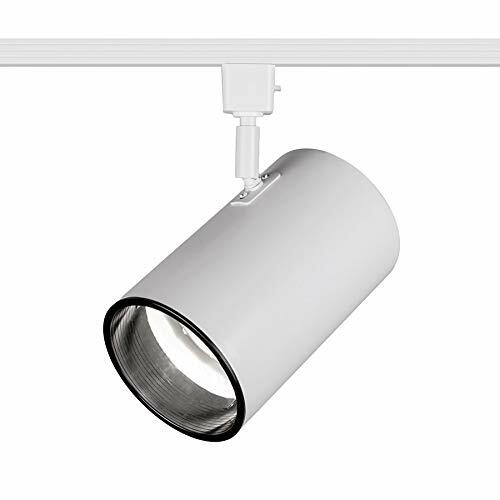 The Charge 8010 track luminaire offers superior light output in a small, unobtrusive design. Developed for residential spaces and lower-mounted commercial applications. Construction: Die-cast aluminum with frosted TIR lens. 350 degree horizontal and 90 degree vertical aiming. Energy Star Rated, and CEC Title 24 compliant. Driver concealed within cylinder for a clean look and installation. Smooth and continuous dimming with an electronic low voltage (ELV) or TRIAC dimmer. 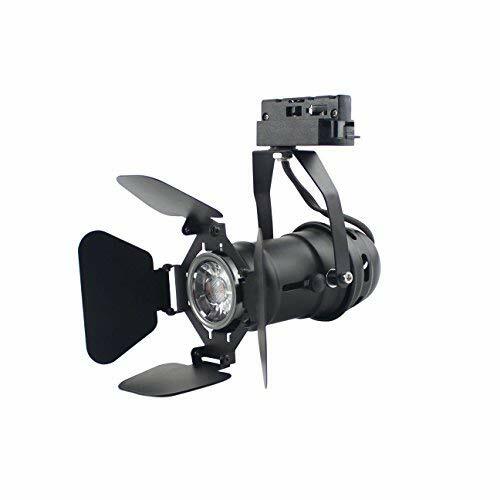 High Powered Replaceable LED Module CRI: 90, Rated Hours: 50000, Color Temp: 30K. Warranty: 5 years limited manuufacturer warranty. LIGHT BULB NOT INCLUDED. The specifications of the LED bulbs from different manufacture may vary and they are not standard. If you plan to use the GU10 LED bulb, please make sure the size of the bulb would fit in the fixture. The maximum LED bulb length ( measure from bulb face to end of pin ) is 2-1/8 inch. Juno Lighting Group, a leader in high-quality commercial and residential lighting solutions, today announced its new, narrow footprint Juno Trac-Master T259L LED Wall Wash/Flood Trac fixtures. 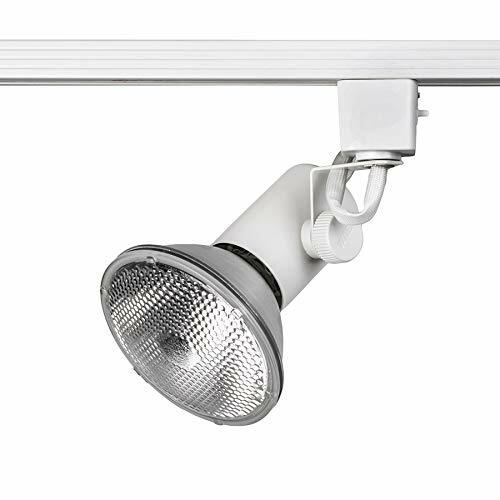 The T259L fixtures provide commercial and retail applications with outstanding performance and energy efficiency in a compact linear footprint that allows for the integration of more wall wash and accent fixtures on the same trac run. 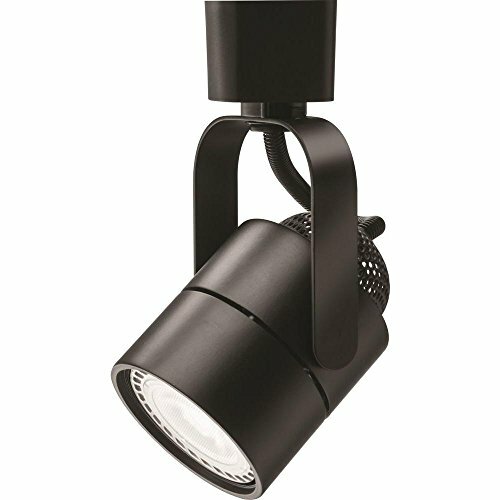 Designed to establish new benchmarks for efficacy and affordability in LED wall wash or flood trac light applications, the new fixtures feature unique, narrow profile housings that integrate perfectly with Juno LED trac spotlights and employ custom hyperbolic reflectors that provide an exceptionally smooth, wide beam distribution. 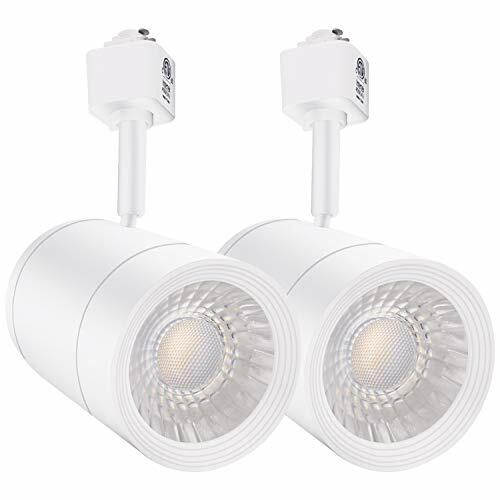 The LED drivers are incorporated into separate, slim-line housings behind the LEDs, cleverly minimizing the overall fixture footprint and thermally isolating the drivers from the LEDs. When installed on Juno Trac-Master or Trac-Lites trac systems, the narrow-profile design permits a greater concentration of fixtures to be placed on the same section of trac. Energy Efficiency - Saving electricity up to approx 80%, Lasting approx 35000 hours of life in good condition. With this H-Track Pendants you have the unique opportunity to smother your home in waves of elegance and style. These pendants blend perfectly into both modern and classic mood settings and offers a new dimension of possibilities for your interior design plans. The diameter of lampshade and wood 22 cm (8.66 inches),Standard Pendant height is 31.5"(From the socket to the bottom 15" long). Custom made is provided :Please email us cut to your length no extra charge. Material:A gorgeous combination of wood and aluminium. Style: Clean and modern Scandinavian take on interior lighting. Application: Study Room, Bedroom, Living room, Dining-Room, Sitting Room, Bar, Cafe, Shop, kitchen, etc. CUSTOMER GUARANTEE - We guarantee to replace any damaged products for free. The track head is a single circuit 3-wire ("H") system. Many current projects require or specify a 3-wire system. It is easier to ground, and has more accessories than the other systems. Also, it is 100% compatible with HALO, which makes substituting really easy. The diameter of lampshade and wood 22 cm (8.66 inches),Standard Pendant height is 31.5(From the socket to the bottom 15 long). Custom made is provided :Please email us cut to your length no extra charge. Easy installation :The connectors at the top of the cable lock in to H-Type track lighting system with a 90 degree turn to lock it in place. This listing is for one Light Track light fixture,no track included. All electrical components are UL listed. Standard ceramic bulb socket (E26).